The Temple of Eshmoun, less than an hour from Beirut, is situated 1km from Sidon in a lush valley of citrus groves on the Awwali River. The site known locally as " Bustan esh-Sheikh". 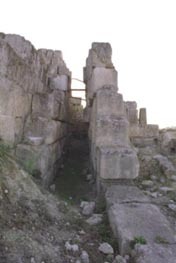 This Phoenician temple complex dedicated to the healing god Eshmoun, is the only Phoenician site in Lebanon that has retained more than its foundation stones. Building began at the end of the 7th Century BC and later additions were made in the following Centuries. 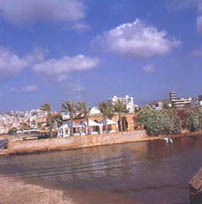 Thus, many elements near the original temple site were completed long after the Phoenician era, including the Roman period colonnade, mosaics, a nymphaeun and the foundations of a Byzantine Church. All of these buildings testify to the site's lasting importance.